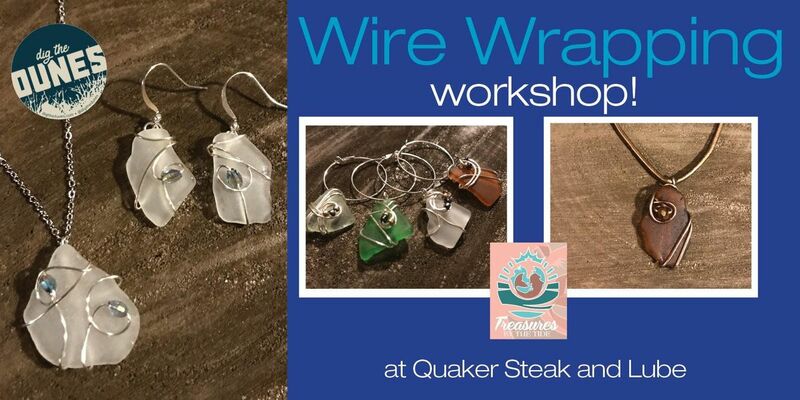 Wire Wrapping Workshop!Come on out for this jewelry workshop for anyone 16 and over! 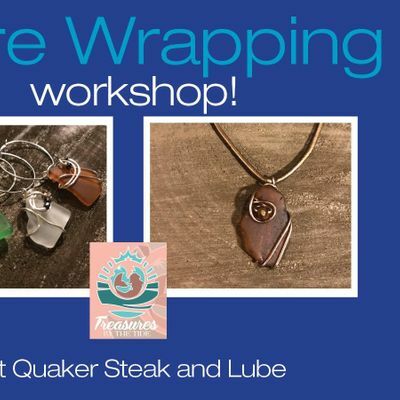 Join Angie and Danielle from Treasures by the Tide along Dig the Dunes at Quaker Steak and Lube for a beach glass wrapping class. Create a statement necklace embellished with wire wrapping and glass beads. And as a bonus, choose to make a matching pair of earrings or 4 ringed wine charms. Handpicked authentic Lake Michigan beach glass will be provided or bring your own! Ticket includes: all materials, instruction and one drink.